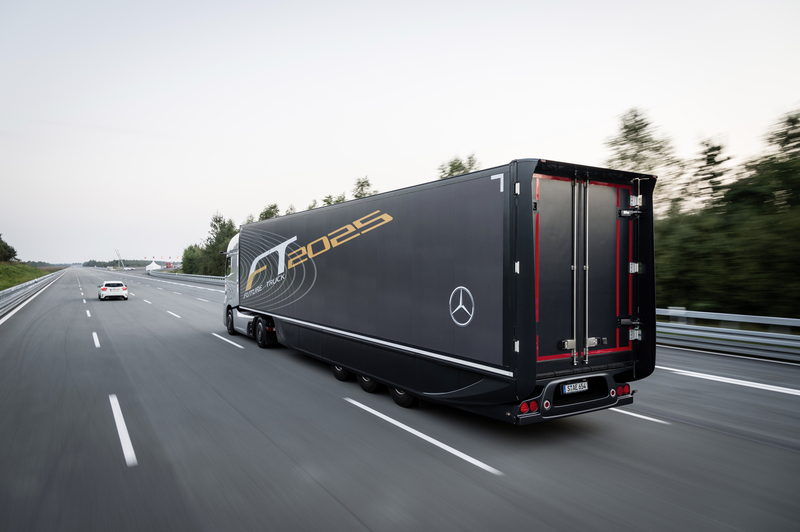 A conference is to be held between industry professionals across Europe to discuss the future of automated trucking in Stuttgart, Germany, in October. With the Netherlands’ Presidency of the European Union next year, it is expected that the Vienna Convention could well be altered to allow for automated trucks to be used on European roads from as early as 2018. Let’s look at the major issues and cost savings to be made in automating heavy and light goods vehicles. If two or more goods vehicles can link together on a motorway, then aerodynamic drag can be significantly reduced, bringing fuel cost savings estimated in the region of 25% per journey. There are significant hurdles to overcome in setting up trucks that platoon. Braking, turning and emergency situations must be resolved to as good as or a greater standard than can be found in non automated vehicles today. The Vienna Convention on Road Traffic, that came into force in 1977, states that all trucks must have a driver. There are stipulations as to what the driver’s job is too. With automated trucks, there will have to be changes to the convention by the nations signed up to it as well as changes to the convention itself. This is going to require a significant effort by politicians across the EU so there is an accepted alternative to what is in place now. What to do with the drivers when not driving? Until drivers can be completely shut out of the equation, something that just won’t happen soon, fleet owners will still have to employ them. The conference in Stuttgart will discuss the problems around this. With an almost fully automated vehicle, yet one that will still require considerable skill to drive it as with today, there will be problems in what to do with the driver while not gainfully employed in physically driving it! Smith asked, “Can drivers perform a different task such as logistics management while not driving? This will be a key question that industry professionals will be discussing.” Arguably, drivers may be even more highly skilled than they are today, required to perform complex tasks whilst not at the wheel on Europe’s motorways, autobahns and autopistas. Could this actually increase operational costs? When one thinks of automated vehicles one thinks of the Google Car that has passengers but no driver. This is unlikely to happen for many years. The drivers you have today may well retire without massive redundancies in the industry. With 35,000 UK drivers set to retire in the next few years without anyone replacing them, this natural wastage may well be met with automation to some extent, though there will be an acute driver shortage. Thinkers have handed the automation question to politicians and industry professionals, and we can expect an ever greater degree of automation in the coming years. As it is, all new heavy goods vehicles will have to have automated collision braking systems and lane departure warning systems. In theory, a driver could drive without a brake pedal as it is – though this shouldn’t be tried!